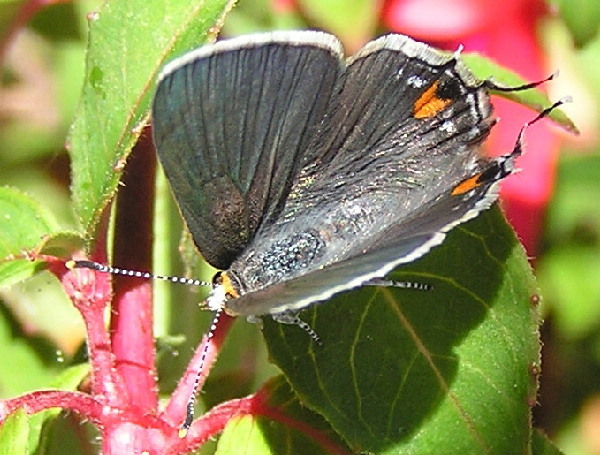 The Gray Hairstreak Butterfly is a small (about 1 inch/ 2.5 cm wing span) , common butterfly found across warmer parts of North America and into Mexico and Central America. If you spot one with open wings, you'll notice an iridescent colouring and striking orange-crimson splashes on the wings. The undersides of the wings feature more spots and lines and splashes of colour. 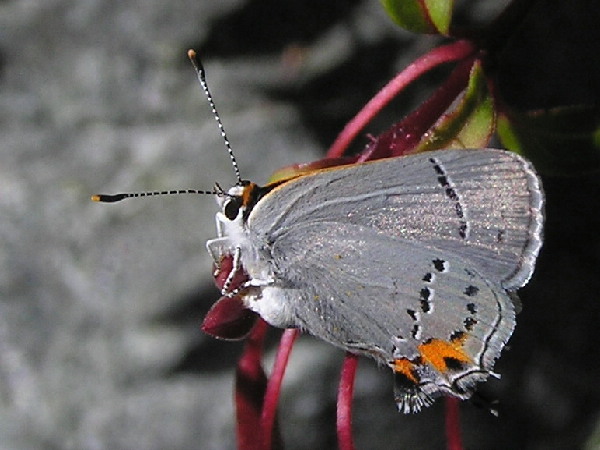 To learn more about Butterflies and Moths, visit our Visual Bug Guide.